An interesting Remote viewing new week this week, dominated by stories of climate change and meteors. Mixed in with this we have Russell Targ on a PR push, a fee new videos, another shared video taped CRV session from Edward Riordan and Tamra Temple sharing lots of Star Gate archive documents from her new Star Gate Archive blog. “Two independent science-based probes provide some, although not definitive, evidence to support a possible catastrophic timeline for Earth in 2013 and the near term future”. Lots of news posts and RV documents shared from Tamra Temple here. 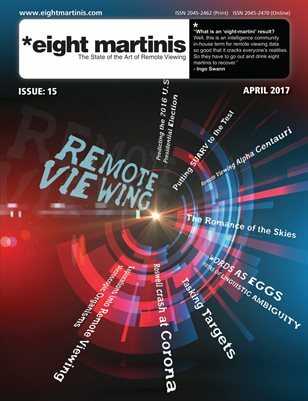 PreviousPrevious post:Remote viewing news round-up-week March 1, 2013NextNext post:​The Remote viewing news round-up 15 feb, 2013.